When elderly lady passed away, the entire Muslim locality was in mourning. They performs her last rites, after all, she was like a mother to the boys. Sakhu Kiran Singh lived in the part of Malad where Muslims form nearly 98% of the population. For them, she was like an elder, a mother. Many local Muslim boys affectionately called her 'Tai' also. She lived alone in her house but celebrated Ganeshotsava. 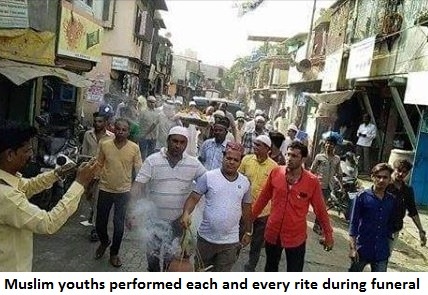 Muslim youths bore the responsibility of the entire event--from Aarti to Visarjan. She also took part in Muslim festivites and events. Besides, during Muharram she kept the 'sabeel'. When she passed away, all the local Muslims performed last rites. After Friday prayers, the funeral procession began and ended at Oshiwara Shamshan Ghat. All Hindu rituals were observed. Karim Bhai lit the funeral pyre. Later, they went to Nasik for 'pind-daan'. The after-death rituals including 'terahvi' was also observed duly. The 'puja' was held. Ghaus Khan and Karim performed the rituals as if they were her sons. The youths conduct each and every ritual, in the way the woman's kin would have performed them. In a way it is sad that today we feel the need to highlight these aspects of our composite culture. It happens across India. This is what humanity is all about. Standing for each other in life and even in death.It is unfortunate that today we need to highlight these aspects. 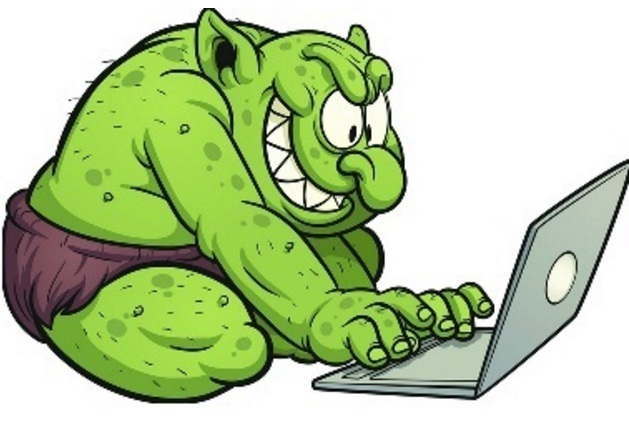 The reason is there are people who grow up insulated from the other community. They have grown up in localities where they didn't have many friends from diverse background. Even in schools and jobs, there is little interaction. Further, online hate campaigns and propaganda makes them believe that there is a rift between Hindus and Muslims. Hence, there is need to write about these aspects. 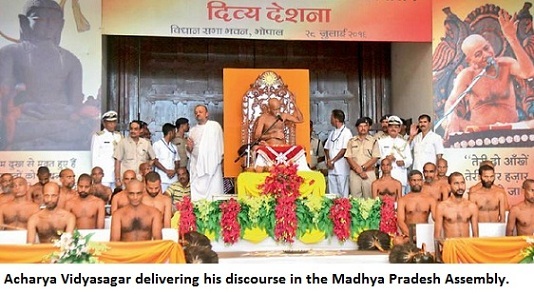 Jain saint Acharya Vidyasagar visited the Madhya Pradesh Assembly and delivered a discourse. Vidyasagar, who is amongst most revered Jain saints, along with 38 other Jain monks reached the Vidhan Sabha. At the gate, Chief Minister Shivraj Singh Chouhan and speaker Sitasharan Sharma welcomed the guests. Acharya Vidyasagar was invited by CM to deliver a discourse in the Assembly. Also, the speaker had gone to him, urging him to visit Assembly. He agreed and the rare event of a Saint delivering discourse was held. The saint expressed his dissatisfaction on commercialization of education. He told the MLAs that there should be more focus on development. The seer said that once elected, there shouldn't be acrimony over Paksh-Vipaksh i.e. Ruling Party-Opposition, and all should work for public welfare. He also drew attention of CM and MLAs towards inequitable distribution in the society. Maoists killed ten CRPF commandos in Bihar, however, the news failed to interest media. Initial figure was that 8 Cobra Commandos had been killed and later the figure rose to 10. In a country like ours where those throwing stone at police or security personnel in Kashmir are termed terrorists, it is surprising that DEATH OF ARMY PERSONNEL hardly evokes any response. Those who killed the CRPF jawans were NOT termed 'Terrorist' or even 'Militant'. The words used were 'REBEL' other than 'NAXALS' and Maoists. The double standards are clearly visible. There is no love for soldier's life. A soldier or a jawan killed anywhere in India doesn't anger you. You care least for his life. It's harsh but it's a fact. But you only get agitated in Kashmir, because here it has been termed a 'Hindu-Muslim problem'. There were no tears shed for the jawans. In fact, 'national' media and newspapers ignored the news. For TV channels that are quick to call administration in Bihar, synonymous to 'Jungle-Raj' after every crime, such killings didn't lead to any fury. One national paper gave it 'six lines' in brief on front page at the bottom. The other national paper too gave it similar treatment--brief on front page. The third national newspaper didn't have it on front page, at all. 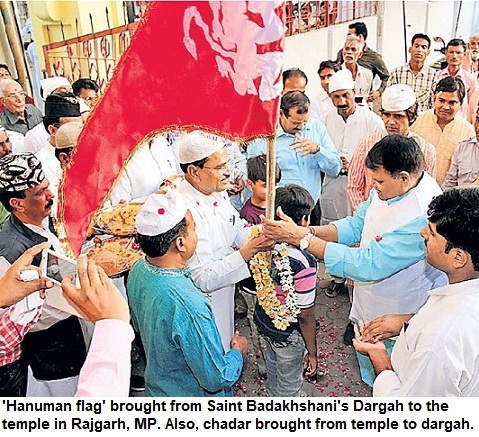 So when there is no Hindu-Muslim issue, you are indifferent. Just like Article 370 which angers you. But Article 371 is not of your concern. That you can't go to some North Eastern states without permit, doesn't bother you because these three states don't have the same communal angle here. Kashmir [Jammu-Kashmir] is our 'Atoot Ang'--that's what we grew up, listening. But from childhood, we have heard lies and fed with propaganda on Kashmir. We are not told the truth about Kashmir. Probably, that's one of the reasons that the lies have given way to such hate, that when Kashmiris die, many people seem to revel and talk about 'score', as if 30 deaths is an achievement of the India or Army. Kashmir is ours but Kashmiri is not. Kids grew up listening to propaganda that Kashmiris are anti-India, that they are never satisfied, that they enjoy special status, that they live off on Indian tax-payers' money and so on. When generations imbibe this as truth, what happens? The result is that the pain of the Kashmiri doesn't affect you at all. When kids are dying in Kashmir, you don't feel anything. On Facebook, in WhatsApp groups, on Twitter, in Drawing room conversations, you feel that the Kashmiri deserves the bullets and pellets and every second person seems to be baying for the blood of Kashmiris. 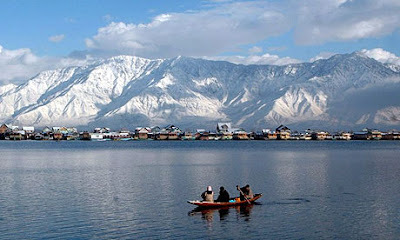 You want Kashmir, the territory, but you hate the Kashmiri. Strange. The decade of eighties saw militancy peak in Jammu & Kashmir. It was the same period when Kashmiri Pandits had to leave the Valley--a sad chapter in the history of J&K. It was also the era when BJP leaders, riding high on Ram Mandir movement, used Kashmir in their speeches to create the Hindu wave. DD was still the sole TV channel. Poison was being spread in the society but Congress, which had mishandled Ram Temple-Babri Masjid dispute, remained mute spectator while hate and propaganda about Kashmir was being spread across North India. TV channels came nearly a decade later. But by then, there was a generation that had grown up on the diet that made them see Kashmiris as enemy. 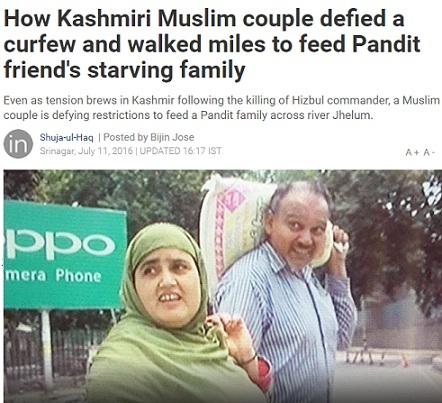 What else was the reason that TV channels never showed the reality of Kashmir. Unfortunately, Indian media has this dubious distinction of misinforming own people and teaching them how to hate your own country-men. This is a result of institutional misinformation and hate over decades. For the BJP, Article 370 was just an electoral issue to polarise people. Its leaders talked of Ram Temple, Article 370 and Common Civil Code, as if they were the three magic words that would transform the country. Today, BJP is again at the helm in the country, and also shares the power in J&K. But what about article 370? It's still there. In the name of Article 370, BJP leaders injected so much hate among an entire generation, that talking about Kashmir issue and the sufferings of ordinary Kashmiris, has become nearly impossible even among friends. When BJP leaders were taking out 'yatras' and issuing war cries over Article 370, Congress leaders remained silent and seemed to have no clue how to deal with it. Jawaharlal Nehru was blamed for Kashmir crisis but unfortunately Congress seemed to have no idea how to counter-attack or clarify its position. Neither politicians, nor media, bothered to report from the ground and tell Indians that how Kashmir had been mishandled, how Kashmiris were living, what they suffered, what they expected and the reality of the special status on the ground. While outsiders can't buy land in Kashmir, it is not something unique to J&K. Outsiders can't buy land in parts of North East, in many hill stations, regions inhabited by indigenous people. Further, while anyone can go to Kashmir, most Indians can't even enter several North Eastern states. A permit [inner line permit] is needed to enter these states. 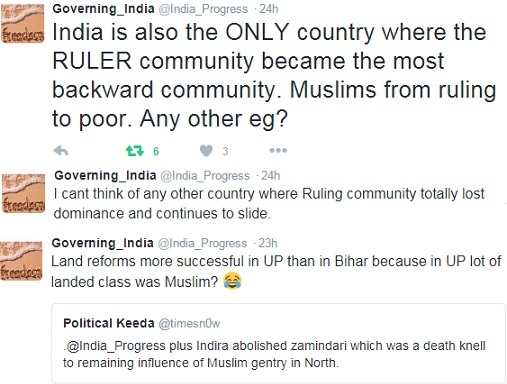 Why BJP never raised these issues or talked about integration? So no voice was ever raised about Article 371, as it pertains to Nagalnad, which is too far. And, because there wasn't enough scope to polarise and gain voters in heartland by raking up the issue. After Hizbul Mujahideen commander Burhan Wani's killing in an encounter with security forces, Jammu and Kashmir is on the boil. Dozens of youths have died in firing and scores have their vision affected as pellets hit their eyes. 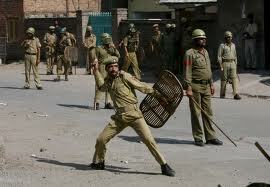 Curfew has been enforced in many parts of the valley. Besides, this is the period when Amarnath Yatra has already begun. Amid reports of deaths and gloom, there are also stories from the region that show how people risk their lives for the sake humanity, even in such a situation. This Kashmiri Muslim couple braved a strict curfew to take food to his Kashmiri Pandit family's house. Zubaida Begam and her husband walked for miles, risking lives, after receiving telephone from across Jhelum river from the KP friend, reports India Today. 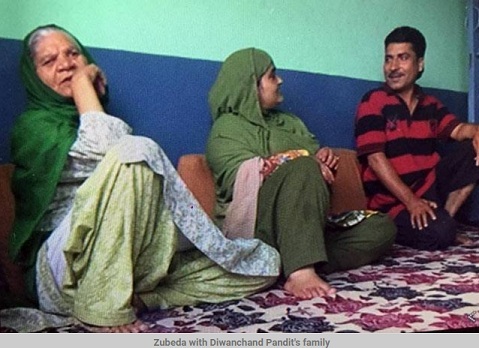 Diwan Chand and his family, including an ailing grandmother, were desperate for help as crisis mounted in the Valley. Shops were shut, no transport and curfew was imposed. Yet, they managed to reach Diwan Chand Pandit's house, with the ration. The truth is that there are innumerable examples of communal harmony in our day to day live and we all are aware. But negative truth travels faster and makes greater impact. We must not let the bad stories overshadow the good and positive aspects of our society. Thank you, India Today, for highlighting a good story about the relations, closeness of people on the ground. The original story is here. Lot of 'prominent' people keep making this ridiculous charge, "You guys [Muslims] don't condemn terror". Actor Irrfan Khan recently said that Muslims are silent about terror attack. Really it's shocking when people say that Muslims don't speak up. We have suffered, are suffering, so much because of it. 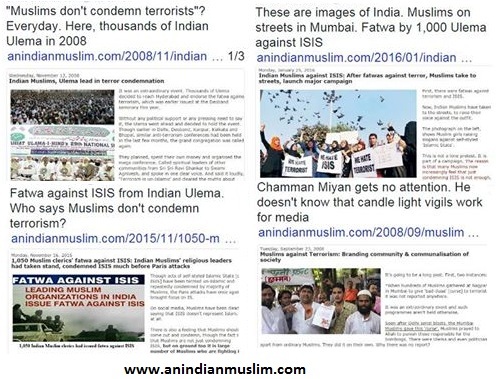 And yes, Indian Muslims have been the most vocal in not just condemning but acting against terror. If you don't see your have fault in your eyes. Chamman Miyan doesn't know how to hold candle light vigil so his protests are ignored. But Ulema gather for anti-terror conferences, Muslims publicly cursed terrorists, the biggest fatwa against ISIS was issued in India, protests held in dozens of cities over the years. Muslims even refused burial to terrorists in graveyards. Ordinary Muslims have nothing to do with international politics. Are people of other faiths expected to come on streets to protest right-wing group's acts or is there pressure on them to speak up?. Muslims don't need to say it every day, yet, Muslims are saying it loudly, clearly. Yet, it's so easy to say. 1. Dont say Muslims don't act against terror. "No burial of terrorists on sacred soil of India"
3. Fatwa against ISIS from Indian Ulema. Who says Muslims don't condemn terrorism? Indian hockey legend Muhammad Shahid is ill*. In some reports, it was mentioned that 'guzre daur ke hockey khiladi' as if it was half-a-century ago. Shahid played international hockey till late 80s, almost the era when Gavaskar had retired and Tendulkar was arriving on the cricket scene. Shahid's electrifying presence on the field and his dribbling, made him a national hero. India was down 0-3 to Holland in the epic match, people had turned off TVs and radios, and in the last three minutes, Shahid, Marvyn Fernandes, Carvalho turned the game with four goals, and we had won [Year 88?, if I am wrong please correct]. I still remember the adrenaline rush, yes, it happened watching or listening to commentary of hockey matches then. The feeling after the sensation win among crowd and across the country, was indescribable. But times had changed. After that, such euphoria was only reserved for cricket wins. Shahid was ranked one of the best forwards and was named along with Stefan Blotcher, Ric Charlesworth and Hasan Sardar [Pakistan]. Everyone remembers how after losing the series to India, Hasan Sardar had famously said that, "we have lost to Shahid". Siddharth Saxena in his article reminisces how Hasan Sardar was furious as "Shahid, the genius dribbler, would push the ball between Sardar's legs and then drew it back", something that frustrated the famed player. Hockey is our national game. We no longer talk about hockey folklore--Moscow Olympic gold & World cup-Champions trophy performances though cricket world cup of 1979 and 1983 are discussed all the time. Hockey was national game but TV had stopped paying attention to it. Unlike cricket, money was not coming in. It was common to complain that tiny Holland had 125 astro turfs and India had just 4-1/2. No wonder, even the era that is not so distant past, is being termed a 'long lost forgotten era'. Shahid remained in his beloved Benares [Varanasi] and never cared for post-retirement glory, lived away from limelight in his city. Praying for his long life. 'Cow Terrorism' is a relatively new term. In North India, it is well-known now. Still, it needs to be explained for the benefit of many others. Cow is a sacred animal in Hinduism. However, right-wing extremists are committing extreme brutality and are killing people in the name of cow. Earlier, it was limited to extortion but its extent has grown in the last couple of years, and now no one is safe from this form of extremism. False claim, allegation or rumour that a person is carrying beef or a cow for slaughter, is enough for them to take law in their hands. 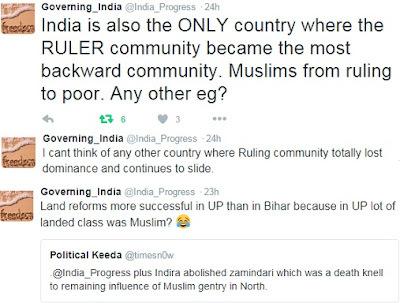 Muslims and Dalits are the main target of the groups involved in it. In Jharkhand, a minor boy was hanged while in UP, an armyman's father was killed in this spree of violence. This is hurting the nation and its integrity apart from bringing infamy. The image of Hinduism is also being affected worldwide with such attacks. 1. Cow Terrorism is 'Committing violence or spreading terror in the name of cow'. The Cow terrorists or 'Gau Aatanki' are those who have the licence to attack, thrash, injure or kill anyone in India. 2. They have no law applicable on them. They can declare any meat as 'beef'. 3. They can frisk, attack, humiliate, strip or murder anyone, it seems. They have direct or indirect state backing as well as support of law-enforcing agencies. 4. The 'Gau Aatanki' doesn't need affiliation to any agency. 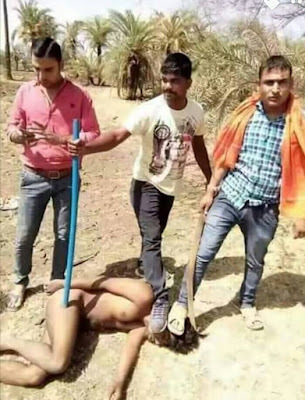 A Saffron band on head or just a claim that they are 'Gau-Bhakt' or 'Gau-Rakshak' (Cow protectors) is enough. 5. These elements are not accountable to anyone. They can kill and yet get case registered against the victims. 6. These so-called 'Gau Rakshaks' won't act against the main beef exporters of India but target those who don't even consume beef. Muslims are the main target and rumours are floated that a person is carrying 'beef' to extort, attack or kill. 7. They can strip people of their own faith [albeit those of lower caste], tie them and drag them. Yet, State won't take action for days. 8. The Cow Brigade has complete immunity. They can attack women too on mere suspicion that the latter were carrying beef. The issue may rock the Parliament and Assembly but action will not be registered against them. The police will book the women, even if the meat was not beef. 9. These right-wing extremists have links everywhere. They can get loud speaker at a temple blare that a particular house as 'beef' in the fridge and can also get reports in the lab, changed, to suit their agenda. 10. They have attacked and killed people in Jammu, Haryana, Himachal, Jharkhand, UP. Cow Terrorism is spread across India, and it is not just BJP ruled states, but the phenomenon is seen in SP and Congress ruled states.